Buy Cabergoline 0.5mg x 30ml at PeptidesForSale.net. For the best quality peptides and research chemicals, PeptidesForSale.net has what you need. Cabergoline, or Caber, is a research chemical classified as a domamine D2 receptor agonist. Caber comes in a sealed 30ml bottle with a homogeneous mixture of solution of 0.5mg of Cabergoline per ml. To learn more about Cabergoline visit their wiki page. 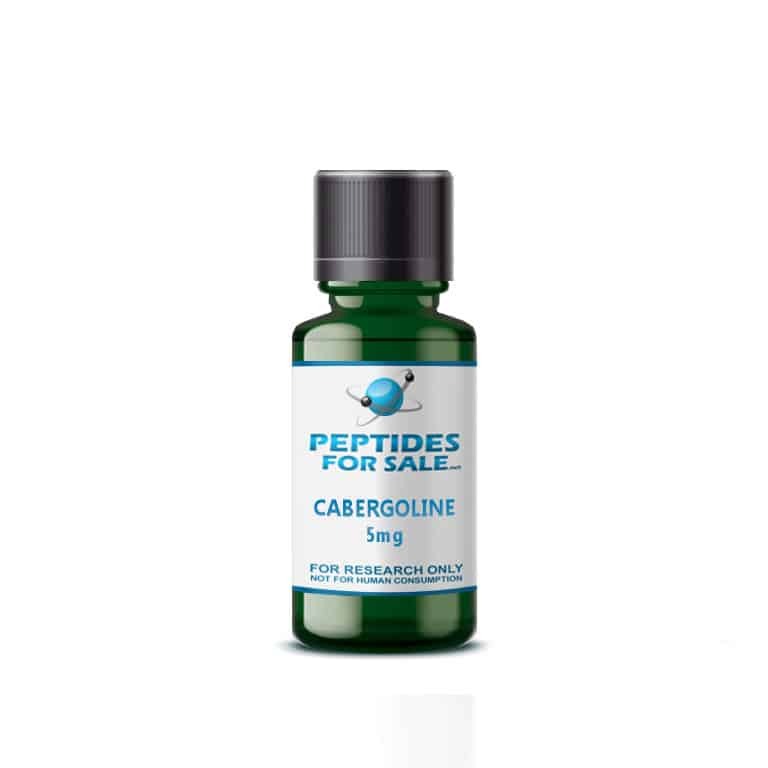 Buy Cabergoline online at PeptidesForSale.net where we ship fast from the USA. All Product’s here are intended for laboratory and research use only, unless otherwise explicitly stated. They are not intended for human ingestion, use, or for use in products that may be ingested.